Couldn’t help but notice this week the Ascent office/workshop on Harper Rd. was not only for sale, but now had a ‘sold’ sign out front. Seems odd in that the media were invited out to that same location earlier this year to get a first-hand look at the projects undertaken at the former ECM Controls, purchased by St. Thomas Energy in November, 2010. At that time, ECM Controls employed 10 people who designed and built industrial controls. As shareholder and owner of St. Thomas Holding (the parent company), city council unanimously green-lighted the move, asking no questions nor providing comment on the move. So what happened in the intervening five years? 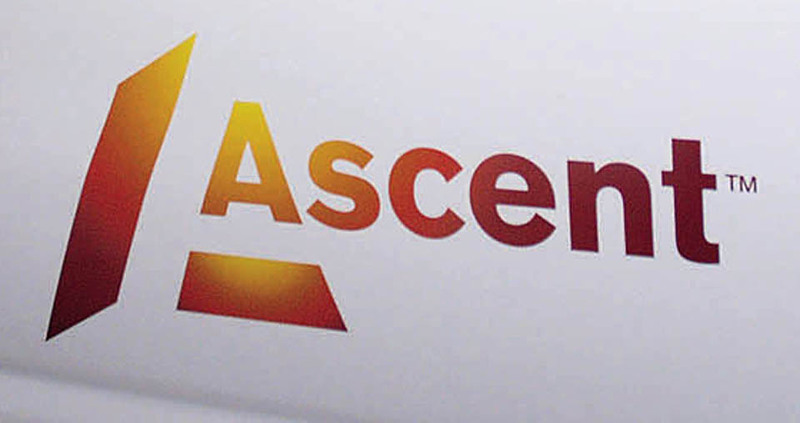 We called Ascent CEO Ron Osborne on Friday to determine what prompted the sale. “You’ll remember when we put out our announcement on restructuring (in April of this year) we talked about exiting the controls business and the majority of that operation (on Gaylord) was the controls business. Those areas, according to Osborne, are substation construction, traffic and street lighting, pole line construction and high-voltage maintenance services. Getting rid of ECM was “an obvious one” Osborne admitted Friday. Are there other cuts then on the horizon? Reading between the lines, can’t help but feel Ascent is bleeding a lot of red ink right now. We asked Osborne about an audited financial statement generally presented to council in April each year. He assured that was the case this year. Speaking to city treasurer David Aristone after our conversation with Osborne, he had no recollection of such a document but would confirm the status with CAO Wendell Graves on Monday. Proposed St. Thomas police station to be build adjacent to the Timken Centre. The chief of course was referring to construction of the new police HQ adjacent to the Timken Centre. And that individual should likewise have a strong architectural, design and engineering background with all the proper qualifications to assume charge as project manager. And the best way to select the most qualified person? Through a request for proposal process, as undertaken with the hiring of a project manager to oversee construction of the new home of Elgin St. Thomas Public Health. In that instance, the individual brought the job home on time and under budget. A tribute to the health unit and a blessing for city ratepayers. After all, we don’t want a repeat of the Timken Centre fiasco where a part-time project manager was hired. Let’s do it right the first time or we’ll be revisiting the mistakes years down the road. Certainly a banner week for St. Thomas Public Library, the beneficiary of a $1 million gift courtesy of the estate of Mary Ann Neeley, a former English teacher at Alma College and Parkside Collegiate Institute. 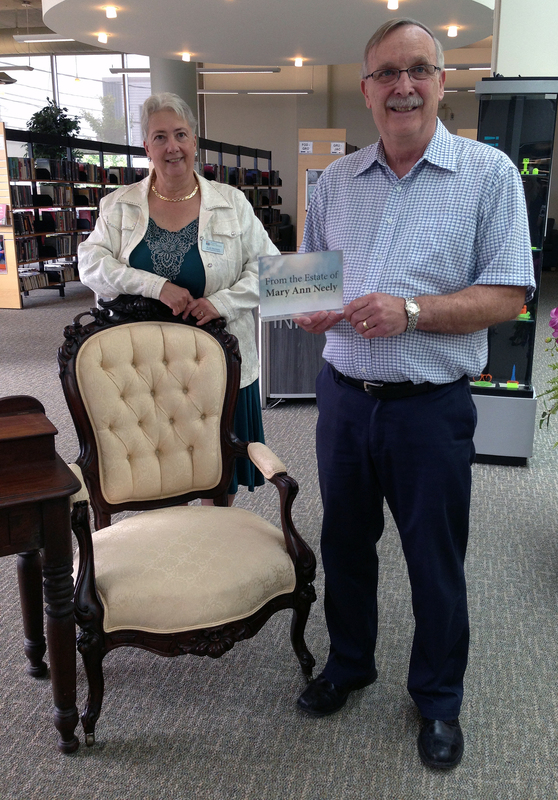 St. Thomas Public Library CEO Rudi Denham, left, and board chairman Greg Grondin stand with antique furniture from the Mary Ann Neely estate. The library announced a $1 million donation from the estate. The money will be used to build a glass atrium at the front of the bulding. Neeley stipulated the money be used for new materials or future renovation projects. The plan is to use some of that legacy for a two-storey garden atrium on the west side of the Curtis St. building. Which prompted this Facebook posting from reader Scott Northcott. Scott’s query caught the attention of chief librarian Rudi Denham who took the time to post this response. “We are thrilled with the donation,” writes Denham. “We would love to have a branch location, in the mall or elsewhere, but the cost of a branch is in the staffing, and that’s not an appropriate expense for the donation. “As always, donations have strings attached, and are intended for “enhancements” — something special that we might not have the funds for. The ongoing cost of a branch should be supported by the City of St Thomas, rather than by a one-time donation. Much more of a direct benefit to patrons perhaps than an atrium. And as another reader pointed out, didn’t the library just undergo a major renovation? Then again, there is that sticky point of ongoing staffing cost and financial support from the city. But couldn’t that be a consideration at budget time? 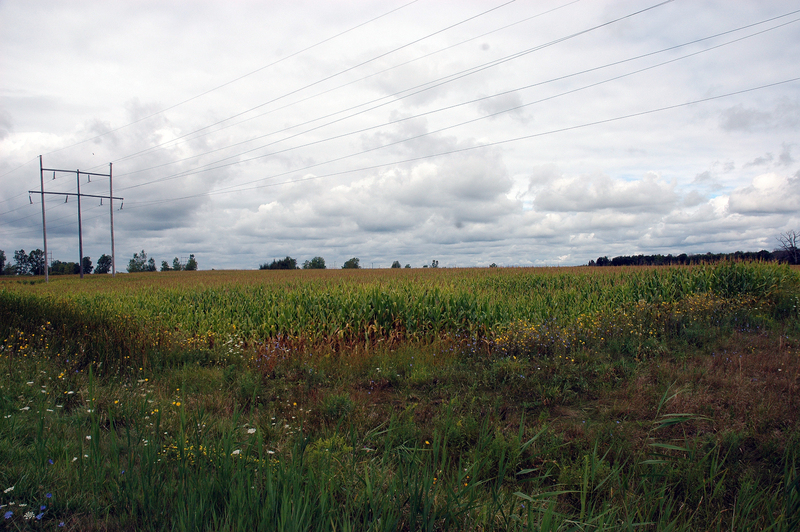 By a 3-2 margin, Southwold Township council threw its support behind a proposed solar farm on the eastern portion of the former Ford Canada St. Thomas Assembly Plant. Coun. Robert Monteith at a special meeting of Southwold Township council this past week to deal with the proposed solar farm on the eastern portion of the former Ford Canada St. Thomas Assembly Plant. This entry was posted in Ascent, City of St. Thomas, City Scope, Solar power, St. Thomas Police Service, St. Thomas Public Library and tagged Ascent, City of St. Thomas, City Scope, Darryl Pinnell, Ron Osborne, Rudi Denham, Southwold Solar Farm, St. Thomas Holding Inc., St. Thomas Police Service, St. Thomas Public Library. Bookmark the permalink. ← Community Living Elgin cuts will improve quality of life in what way?